TM - T82II - Designed for easy installation! 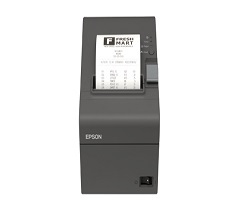 Designed for easy installation, use and maintenance, the Epson’s TM-T82II is a fully featured thermal printer. It delivers fast receipt printing speed of up to 200mm/s and is backed by the industry’s best-in-class reliability even in high volume environments.